Consumers want more competition in the insurance industry. In principle, competition not only improves service delivery and coverage options, it should also help to drive down rates as more companies vie for customers. The Insurance Bureau of Canada has also recommended shifts to the industry to encourage competition and innovation. “While regulations in the insurance industry exist in large part to protect consumers, governments have a duty to ensure that an appropriate balance exists between regulatory oversight and innovation so as to encourage competition in the interest of customers.” (Click here to access the full report). And while it might seem that increased competition is indeed happening in the industry in Ontario, the reality of what we’re seeing is actually many of the same players in different guises. Many of the new direct writing companies popping up are really just off-shoots of the same big insurance companies that dominate the insurance market. In Ontario, as we are all too aware, car insurance rates are just going up and up (in the fourth quarter of 2018 they went up on average by 3.35 per cent – source: FSCO), and drivers in the province are unhappy, to put things gently. While it is frustrating to have our insurance rates constantly increasing, you don’t need to feel completely powerless. So what can you as a consumer do to get the best rates? The most important thing is for you to do your research! 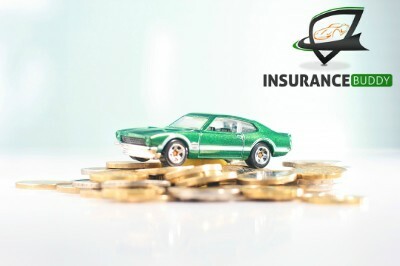 While auto insurance rates in our province are highly regulated by the Financial Services Commission of Ontario, there are plenty of variations in costs, coverage and eligibility. Different companies have different offerings and options, so research is key to finding the right fit for you and the best rates possible for your situation. Thanks to the internet, there are so many online tools you can use to get quotes from many different insurance companies in one go. Use these tools to get an edge and keep up with this ever changing industry. This is why we started Insurance Buddy. We saw what was happening in the industry and we wanted to be proactive. We knew that people needed a tool to help make the research process easier. A tool that searches many options and delivers rates from various insurance providers in one place. The government of Ontario has shared its plans (click here to see the full plan) to address the rising costs of auto insurance in the province, including a review of how rates are regulated and ensuring fairness and an end to discrimination in rates based on where you live (click here for more information). While we wait for all that to unfold, the best thing we can do is our due diligence in researching the best insurance rates. Click here to do just that, or pop over here to contact someone from our team to discuss further how you can find the ideal coverage at the best price.